This month compete with other Blackjack, video poker and Roulette players at Juicy Stakes and win extra cash in their August Casino Leaderboard Contest. Earn points for designated events and you'll be ranked on a leaderboard according to your points total. At the end of the month, the thirty players with the most points will win a total of $2000 in bonuses. The player in first place on the leaderboard will win $300. The second place player will receive $200 and $100 will be paid to the third place player. Players earn points for designated hands. Top point earners win prizes! Playing Blackjack you'll earn one point per dollar bet for a Natural Blackjack, 20 points for a Small Suite 21 and 300 points for a Big Suite 21. A Natural Blackjack is an Ace with 10, Jack, Queen or King of any suit. A Small Suite 21 is a Blackjack that includes 6, 7, 8 in any order. A Big Suite 21 is an Ace, 2, 3, 4, 5, 6. In video poker you'll get 5 points for a Straight, 10 for a Full House and 200 for a Royal Flush. You'll also earn leaderboard points playing Roulette: 50 points for hitting every single number once (may be over several sessions) and five points for five consecutive Lows or Highs (in same game session). 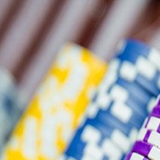 Juicy Stakes is one of the most popular online poker rooms on the Horizon Poker Network. Online satellite tournaments beginning this week will send the winner to the Caribbean to play in the $250K WSOPC in St Maarten. In addition to their busy poker tables, they also offer slots and table games from World Match, Lucktap and Betsoft. Players from anywhere in the world are welcome.